The impact that music can have on our lives is incredible. Exposure to music can shape our emotions, advance our intelligence, and impact our future, starting in the womb and continuing throughout our lives. The right melodies, in the right moments, can be essential to nourishing better emotional, physical, and mental growth – trigger states of calm during stress, or offer motivation in times of need. On top of this, music can also build and strengthen relationships, improve social skills, and act as a bridge for human connection. It’s no surprise that you’ll often hear music playing wherever you see a group of children. Even when playing as background noise, music can help to develop the social skills of children by bringing them together. This avenue for communication doesn’t stop in childhood either. 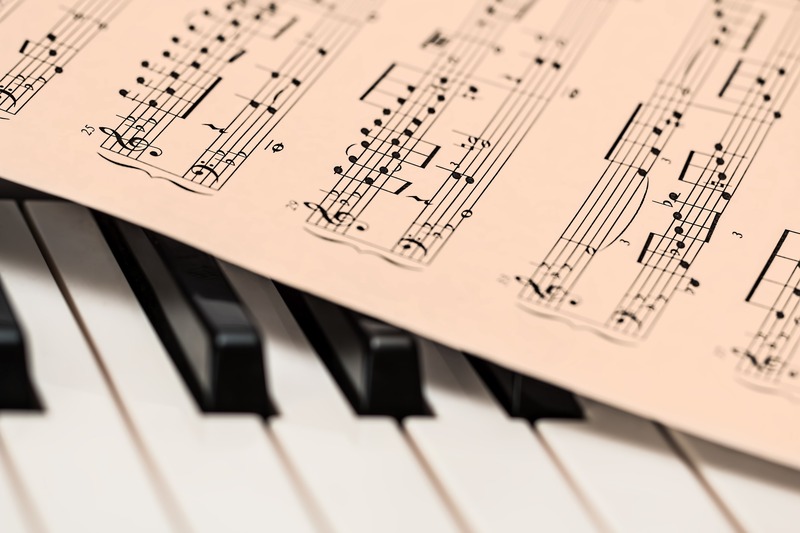 Consider the benefits of musical therapy – an established treatment route in mental health used to address emotional, cognitive, social, and physical needs. Through musical therapy, patients strengthen their ability to communicate with others, allowing for improved engagement, and offering a form of expression for feelings too difficult to describe. But how exactly does the connection between music and forming relationships work? How can music form a basis for higher levels of confidence, improved interaction, and strengthened social skills? Studies from across the world have discovered that listening to, and playing musical instruments can aid children in developing better levels of self-discipline, concentration, and social skills. In research from the University of London, exposure to classical music lead to a positive change in students – where teachers noted better self-discipline in children, improved social skills, and even enhanced English comprehension. These benefits only increase when you hand an instrument to a child and encourage them to start playing. Part of the reason for this is that learning how to play music advances our confidence, giving us something to be proud of. When we learn how to perform a song, we do so knowing that we can impress our friends, families, and peers. This interactive behavior helps to instill a sense of social wellbeing in people who are shy. We become comfortable listening to music, and discipline ourselves in the act of learning how to imitate the people we idolize. Playing an instrument gives us an alternative route of communication in times where we feel as though our emotions are too complex to describe in words. On top of that, it also allows us to understand and connect with other people’s emotions. Relationships are all about emotions. Research has proven that increasing the amount of music played throughout a classroom environment can help to increase social cohesion, lead to better social adjustment, improved attitudes, and greater self-reliance in students. However, beyond this, the ability to recognize emotion in music, through playing music, links to better emotional intelligence and sensitivity. The interaction between mood and music are well-known, holding true for children and adults alike. Children can learn to manage their emotions by using musical instruments to give them focus, improve their mood, or calm down. Music can provide an emotional outlet for children, giving them an avenue to release energy in a healthy, productive manner. Music helps children to understand and hear what certain feelings can sound like. By understanding the emotions evoked by certain pieces of music, children can get in touch with the feelings that they have themselves, and the emotions they identify in others. Of course, the interaction between playing music and human emotion doesn’t stop with emotional sensitivity. Playing music can help an individual to feel more positive emotions, by delivering a sense of personal achievement, introducing new ways to build self-esteem and confidence, and providing a means of self-expression. Learning music also encourages discipline and persistence that will help children to deal with their frustrations when situations become challenging, showing them that resilience will help them achieve almost any goal. Giving children something to respond to and talk about – whether a child likes a piece of music or not, the presence of that sound gives them something to discuss. Offering opportunities for connections to children who may otherwise have nothing in common. A shared love for certain types of music, or playing a particular instrument can create an automatic and instant bond. Providing a framework through which children can socialize – helping them identify themselves to peers. Encouraging confidence in their skills which translates to their interpersonal relationships. Confident children – just like confident adults – are more likely to attract new friends and opportunities. Playing and listening to music can help us to accomplish so many things in our social, personal, and emotional lives. A study published by the Journal of Music Education in 1998 found that learning how to play an instrument allowed children to perform significantly better in the Wechsler IQ test than children without musical classes. Since then, research has studied the benefits of music on intellectual development – with new, more positive results emerging all the time. Of course, it’s worth remembering that the positives effects caused by children engaging with musical instruments, in regards to social, personal, and relationship development, can only occur if a positive and enjoyable experience is delivered. The support given to a child during his or her learning experience, the quality of the teaching provided, and the happiness the child feels when playing an instrument – will all contribute to the nature of any social or personal benefits. How important do you think music is to developing relationships in childhood and beyond? Do you believe that music helps to shape our emotional and social growth?